velopment in the technology in order to provide the protection to the users and the users will protect their photos being misused. Almost all of the people love to take and share their photos to their loved ones. Instagram uses this technology to share the photos to their loved ones and it is getting popular among its users. Every company is scrambling to add the stories features to their products. This practice of sharing the photos can pose the privacy risk and it is growing more serious with the time. It is difficult to handle the privacy settings as the list of the friends is growing and enough information is gleaned from perusing the social media presence of the person. There are the adverse effects for the career if the prospective employer decides to carry out the background check. Facebook has introduced the feature to give you information about your photo as and when it is uploaded and who upload it. 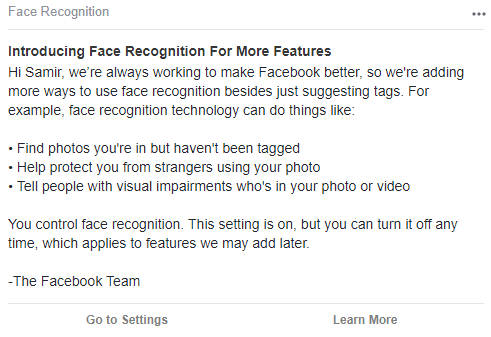 The social media leading website started to implement the facial recognition technology to share the information if someone is uploading your photo on the Facebook. 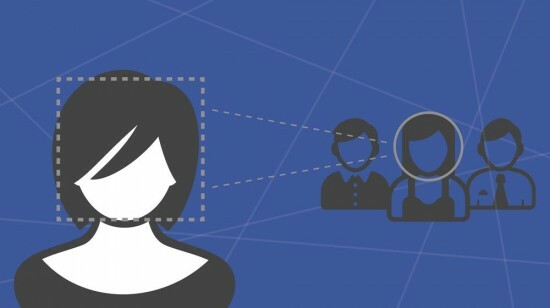 If any person uploads your photo that has your face then facebook will notify you. The new setting is going to be provided live for the users in Pakistan and you can enable it. You have introduced the new security setting on the newsfeed in which facial recognition are given. Facial recognition is not new as facebook has already implemented it many years ago. It was used to suggest the tags on the photos that you upload previously. If you want to upload the group photo, this tool will give the information to tag the people in the photo recognizing the faces of the people being present in the photo. This option helps you to tag the people in the photos. You need to find the photos you are in but they have not been tagged. You need to protect your photos from other. 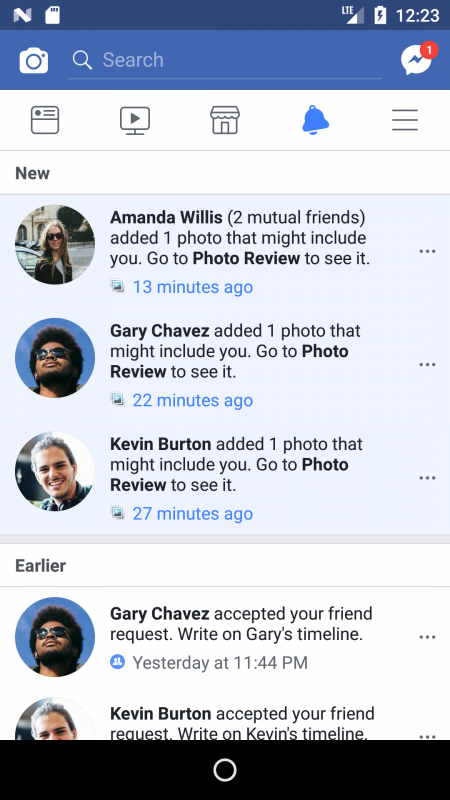 When someone else uses your photo as profile picture, then it will be notified to you. Share with people the visual impairments that is in the photo or video. If the information will be given, then audio will be generated. Facebook has already introduced this technology and it is not new for the facebook users. Now this technology has been provided to the Pakistani users. They need to follow these steps if you want to change it and you are not feeling comfortable with the analyzing of the photos on the Facebok. Tap on the option Do you want Facebook to be able to recognize you in photos and videos? Select Yes if you want to enable and No if you want to disable this option.